Well, how exciting is this? 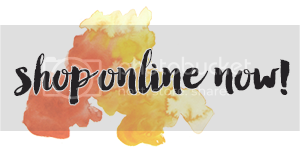 My first ever blog hop! I feel honoured to be amongst such amazing fellow demonstrators (if a little nervous - mainly about potentially breaking the blog chain...or rambling too much!) 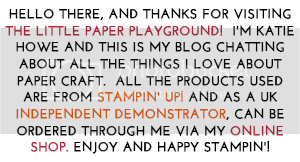 You have made it here from the lovely Karen's blog, so hello and welcome to the Little Paper Playground. Today's project came about due to an unbelievably kind gesture an Australian demonstrator called Chloe Evans did for me recently. I'd wanted a particular planner for some time and Chloe very kindly offered to carry one over for me in her hand luggage from Sydney airport and post on when landing here in Blighty! 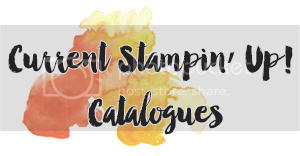 It is an A5 thing of beauty which I adore and so I thought I could use it to show you the sheer versatility of Stampin' Up! 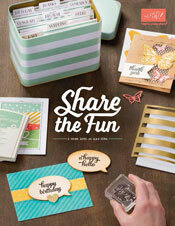 products and how they can be used above and beyond cards and 3D projects. 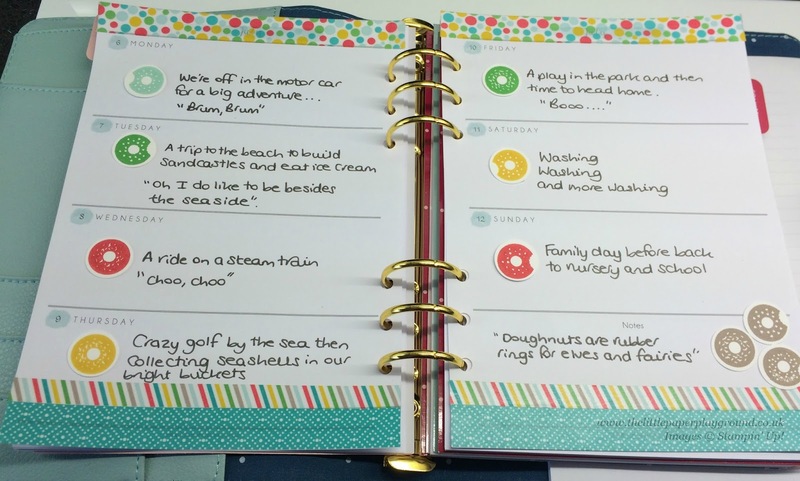 The world really is your oyster when it comes to the planner decoration, so these could just be a little start to help get your creative juices flowing! I've loosely based this around the Cherry on Top suite of as I just LOVE the bright and cheerful colours within it but there are so many different colour schemes available in the catalogue to choose from. Both the Bow Builder and Owl Builder punches can be used for so many things. My little boy, George, loves that I can make him colourful superheroes or Minions with the Owl Builder, as well as recreate sea creatures from Finding Nemo! The butterfly clips were simply made by using the smallest die of the Bold Butterflies set and I cut them out using the Cherry on Top cardstock. I just adhere what I create with glue dots to some large paper clips but you could, of course, choose whichever adhesive you wish. 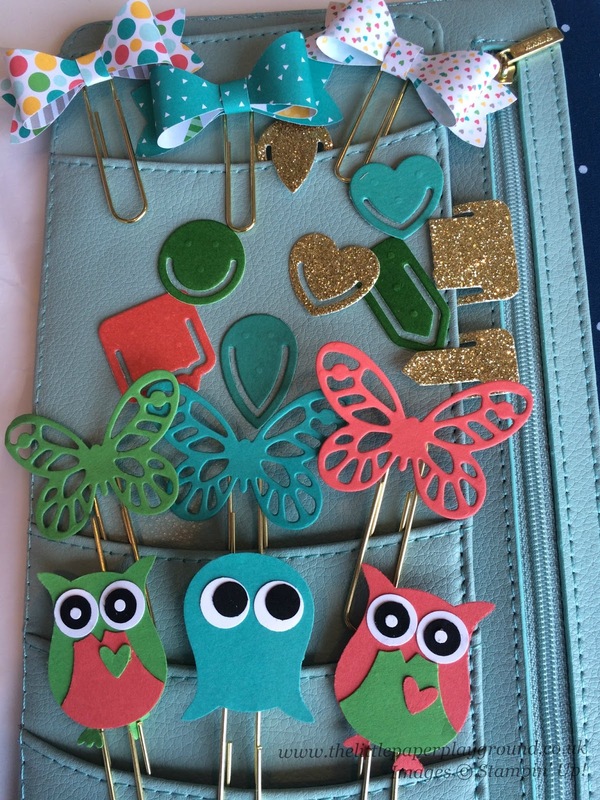 The small clips were made using the fabulous new Project Life paper clips thinlits. Some I have die cut from gold glimmer paper. The others I used a brayer to ink over some vanilla coaster board and then cut them out with my Big Shot. It makes them a bit more robust. Have I mentioned how much I adore the Cherry on Top suite of products? I really wanted to show off the washi tape here. I love using the doughnut stamps within the Sprinkles on Top set as bullet points too! I punch them out to separate them and stick them on with glue dots so I can reposition if need be. Be warned though, it does rather make you crave one when punching them out! With all the beautiful stamp sets available, you could change your dashboards or pocket inserts daily with all sorts of pretty things. You could even used the Project Life thinlits to die cut quotes to include in your planner pockets. The dividers are really easy to make. 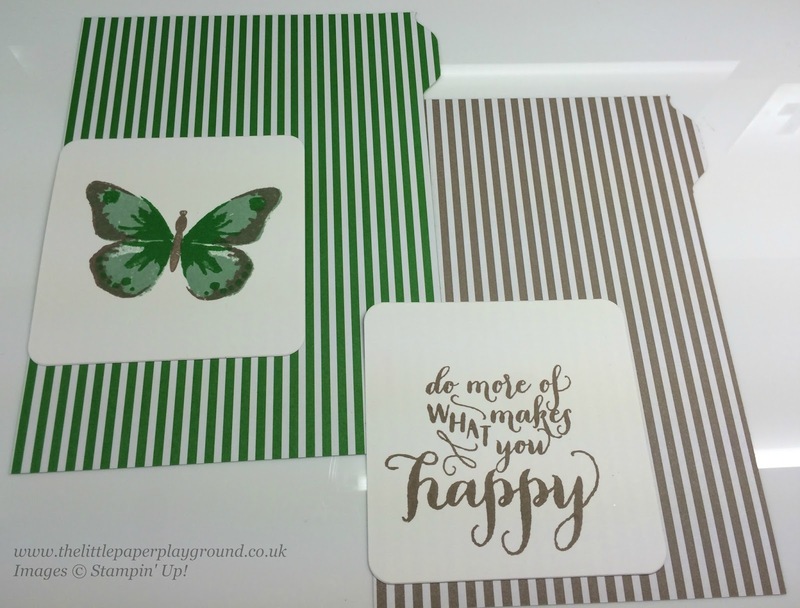 Simply cut your chosen paper or card to the correct size (this is actually envelope paper but I just love the new colours and pattern) then either draw round your old ones so you have the shape. Or, do what I do and use the Envelope Punch Board to punch out the tab parts, trim off the bits you don't need and then laminate and hole punch them. The next thing I want to try is including 6x8 Project Life pockets into my planner so I can include photos and other lovely bits and pieces. I will try and show this on a future blog post soon. Well I hope you have found this helpful and thank you so much for stopping by. 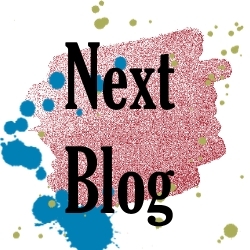 Do click forward using the button below to continue the blog hop. 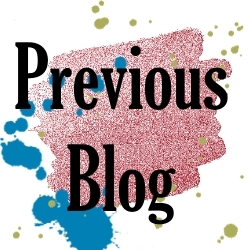 Next up is the fabulous Hannah who we all have to thank for working so hard to make this blog hop happen today. Happy Hopping! Within the new annual catalogue there are 30+ bundles to choose from. 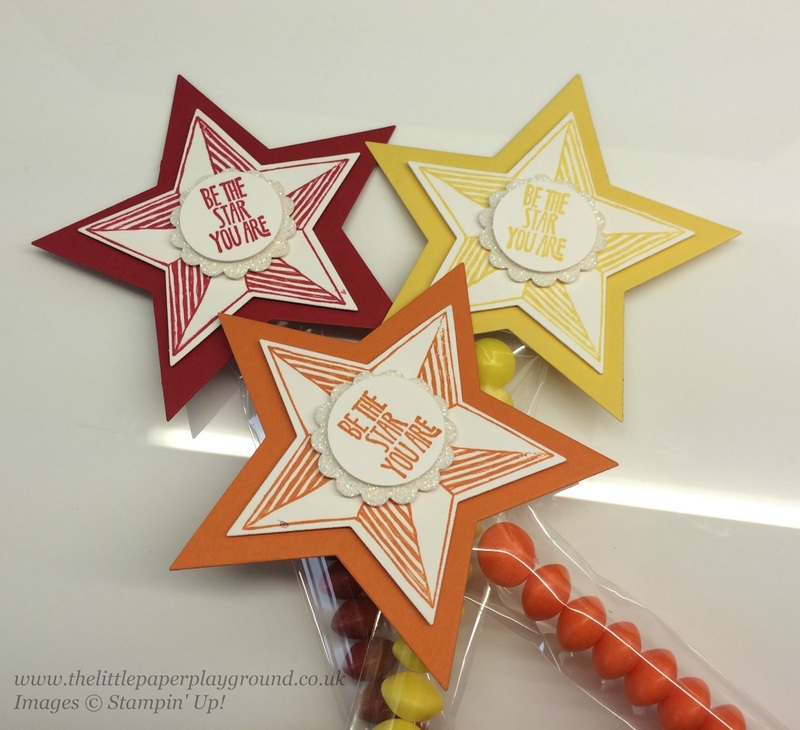 These are where Stampin' Up! group two items together and price them with 15% off their total cost - yay, big savings! One of these bundles is on page 42 and includes the Be the Star You Are stamp set and Star Framelits Dies which is what I used to make today's project. My son, George is a big fan of the children's television programme, Ben and Holly's Little Kingdom. 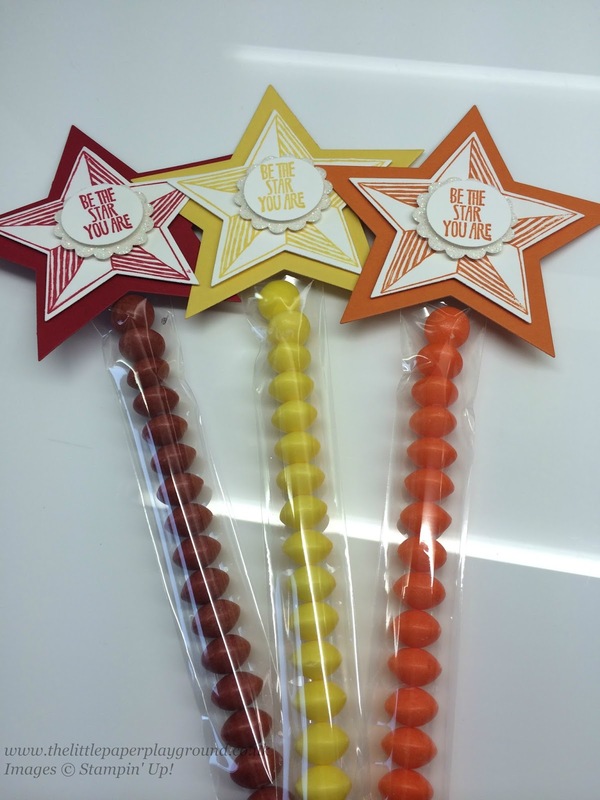 Holly is a fairy with a magical wand and George decided he'd like one, so I decided to combine his wish and my favourite sweeties and, hey presto, wands for everyone! They are so simple to make and you can quite easily make a good batch of them for a party once you get into the swing of it. You don't have to use Skittles which I have used here. You could use anything you wanted for the wand handle part. The only thing George was disappointed with was it didn't make a jingle noise like Holly's so I am now in search of a little bell to add to his! Celebrate Today with the New Annual Catalogue! Ooh, if only I was technical enough to be able to include a fan fare and champagne corks popping on this blog post! 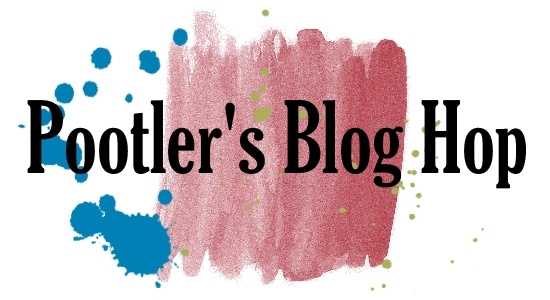 Today is finally the day that the new Stampin' Up! Annual Catalogue goes live with all its lovely pretties inside! If you wish to view it in all its splendor you can do so here Please be warned though, your wish list may end up rather large! If you'd prefer a hard copy to highlight and add sticky notes to (or is that just me?) then please do not hesitate to let me know. I have the celebratory gift tags ready!